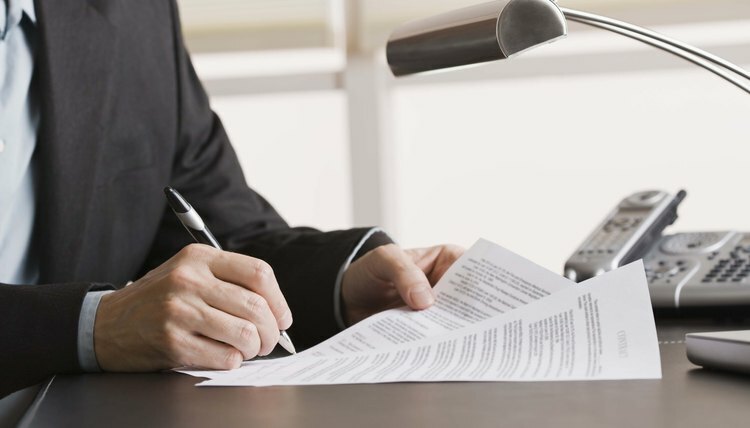 Review the trust agreement as well as the state statutes regarding termination of a trust. If the trust agreement contains a provision that specifies how a settlor can terminate the trust, you must follow this procedure. If the trust agreement does not contain such a provision, you must follow the procedures set forth in your state’s statutes. Follow the termination procedure set forth by the trust agreement or your state’s statutes, whichever is applicable. Obtain a Notice of Revocation of Trust form from your local clerk of courts. This form serves to both inform the trust’s trustee and beneficiaries of the trust’s termination and request the trustee transfer legal title to the trust assets back to the settlor personally. Fill out the Notice of Revocation of Trust form. On this form, you will have to include information such as your name and address, trustee’s name and address, trust beneficiaries’ names and addresses, title of the trust and trust's execution date. Have a licensed notary notarize and sign the form. Make several copies of the completed and notarized Notice of Revocation of Trust form. Serve copies of the Notice of Revocation of Trust on the trust’s trustee and beneficiaries. File the original copy of the Notice of Revocation of Trust at the applicable county recorder's office. Arrange for the trustee to transfer legal title to the trust assets from the trust back to the settlor personally.